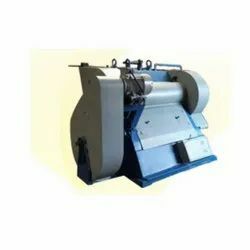 Four Bar Rotary Cutting and Creasing machine is useful for creasing and cutting simultaneously. The machine is with two pairs of shafts. The front pair is with cutting dies and rear pair is with creasing die. The lower shaft of each pair can be raised or lowered by revolving side wheel. For easy feeding two guides are provided. 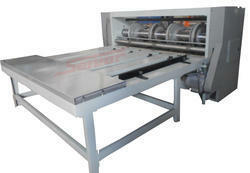 This series on corrugated board cent paper roll the line slice the cape open the Slot machine, Is to slice the tile corrugated carton semi-finished product to Cape to open the slot, roll the line and slice side several works preface match to synthesize for the integral whole the produces the equipments. Its main characteristics is a carton that single a carton handicraft feed to anticipate, General curl carton applicably. Looking for Rotary Cutting & Creasing Machine ?